This assumes a multi-level commercial water loss (Class 3 | Cat 1). The water was introduced to the property via a failed supply line on the second floor of the building. 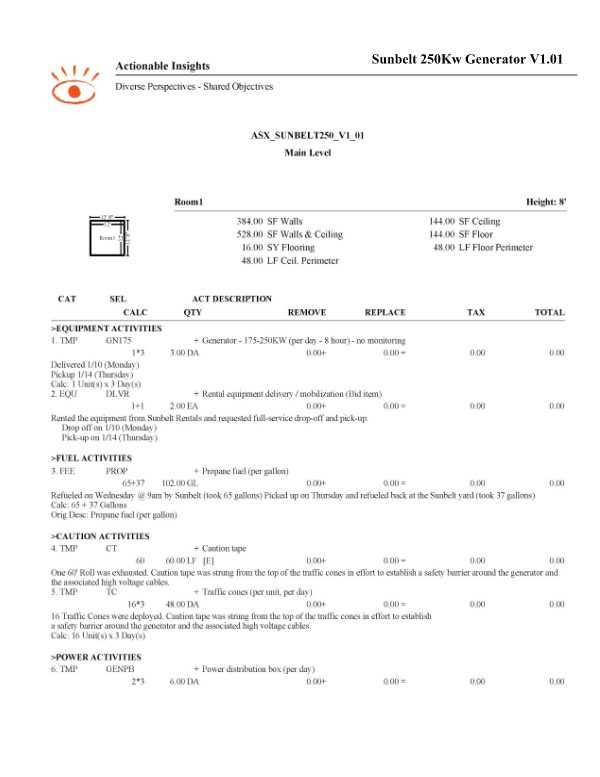 In order to manage business interruption cost, performance drying equipment was deployed in an effort to dry the affected building materials in place. The amount of performance drying equipment that was deployed required an outsized amount of electricity, far in excess of what the property itself could deliver. Thus, a 250Kw generator was delivered and deployed. 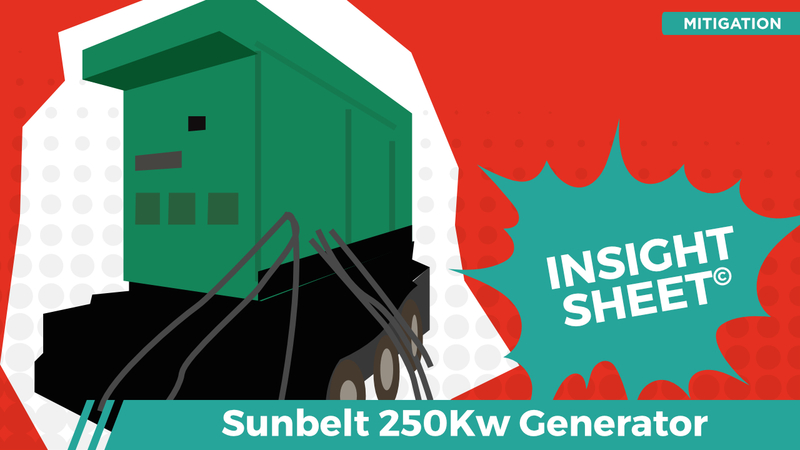 This Insight Sheet exists to clarify how one might invoice for a Sunbelt 250KW Generator. This does not seek to include or make concessions for all equipment and/or activities as it relates to a loss of this nature.